My second recipe entry into the 2015 Lentil Recipe Revelations Challenge has some of my favorite spices! Having grown up in Trinidad, I love eating and cooking many Indian dishes. Roti, dhal, curry...mmm love them all! These hand-held pies have a dhal-like mixture inside made with red lentils. The lentils are simmered with onions, pepper, curry, cumin, coriander and turmeric. Red lentils are perfect for this recipe because they "cook down" and get super soft. And they pair perfectly with Indian spices! The pie "crust" is empanada dough, which are easy to find pre-made in the frozen ethnic aisle. 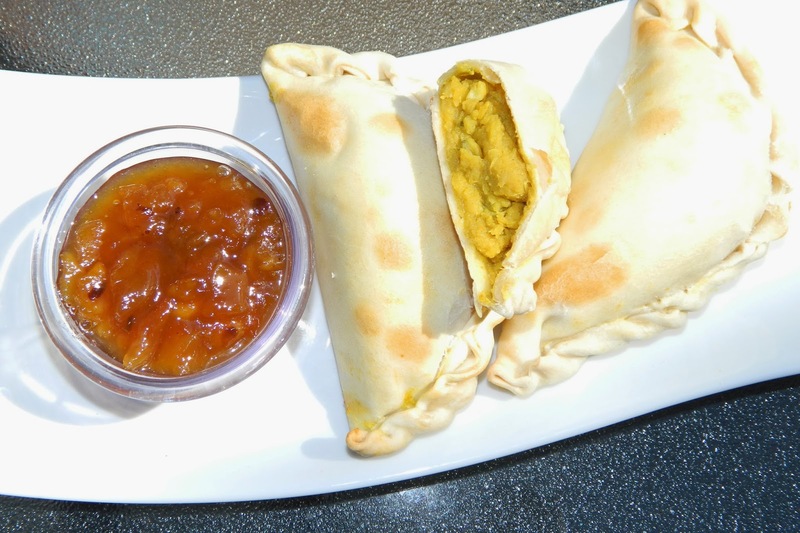 They are baked until golden brown and served with sweet mango chutney. In a medium pot, combine all ingredients for the lentils. Bring to a boil over medium heat. Cover and reduce heat to medium-low. Let cook until lentils are soft, about 25 minutes, stirring occasionally. Let cool for 10 minutes. Preheat oven to 400 degrees F. Place a spoonful of curry lentils in the middle of each dough disc. Moisten edge of disc with water. Fold over in half (into a semi-circle). Fold along edge to seal (or press edge sealed with a fork). Place pies on two baking sheets (10 per sheet). Brush tops with egg wash.
Bake in oven until golden brown on top, about 18 to 20 minutes. Put chutney in microwavable bowl and warm for 1 minute. 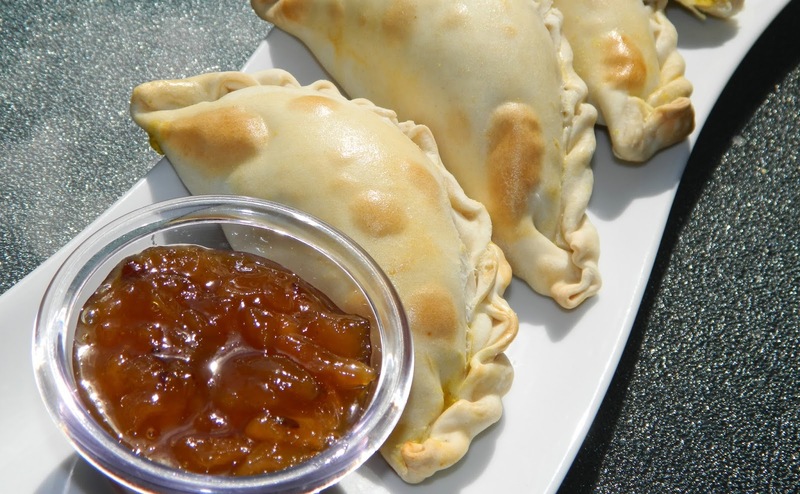 Serve pies with warm mango chutney. Makes 20 pies.